Á la TodayFM’s Dermot & Dave, I’ve got a bit of a case of the “should’ves”… I should’ve planned better, I should’ve done more training, I should’ve gotten up earlier to squeeze in extra runs and so on… Well, I’m not sure I’ll break the 2 hour 30 minutes I’d hoped, but at this stage, rest and nutrition will help me a whole lot more than worrying about what I did or didn’t do! 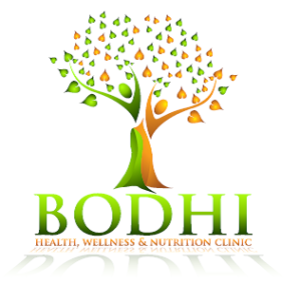 A friend of mine, Neasa Kenny of Bodhi Clinic in Gorey, Co. Wexford recommended this amazing smoothie for your race day preparations. As always, you should try this out in advance to see if it suits your particular gut!! The last thing you want on Sunday is to dive for the bushes… Gorse is not very comfortable to poo in!! You could of course save it for your post-race recovery drink – or do both! These can be prepared in advance & frozen, ready for mornings when you’re short on time! Use straight from the freezer-just add liquid of choice (water/coconut water/dairy-free milk) or take out 20 minutes before you plan on blending it. In my case, because my blender is just pathetic, I had to add my chosen milk (coconut & almond) to help the blender get going!! I NEED a new blender!! As well as monounsaturated, cholesterol-lowering good fats, avocados provide runner-friendly essential nutrients, including vitamin E, potassium, vitamin K, B-vitamins, fibre and folic acid, which will support you on the road and with recovery. Potassium is an essential electrolyte, which helps control muscle (including heart) contractions. Vitamin E is an antioxidant. Antioxidants scavenge free radicals from the body, which we produce an increased amount of from running. Iron, protein, Vitamin A, C, and K are all found in spinach, whereas bananas are a great source of easy-to-digest carbohydrates – this makes them particularly useful for a fast energy boost. Not to mention the high level of potassium which prevents cramps! 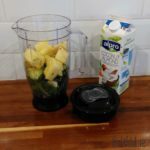 I find bananas tend to repeat on me if I eat them before a run, so I was interested to see how this recipe would work for me with half a banana for each smoothie. I had one banana burp, but I literally drank the smoothie on the drive to my running location. Maybe I should drink it slightly earlier next time. Pineapple is one of the most potent anti-inflammatory that Mother Nature has given us. Pineapples are packed with the enzyme bromelain which plays a major role in the body’s healing process. According to a 1995 German study, states Neasa, bromelain is very effective in treating bruises, sprains and strains by reducing swelling, tenderness and pain. 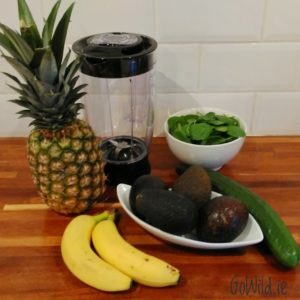 Because cucumbers are made up of mostly water, and full of important electrolytes, they are a perfect food to add to your smoothie to keep you hydrated. I don’t know about you, but that certainly makes it worth a try!! I also threw in a few chia seeds because I think you can never get enough of those! 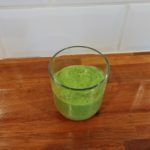 The fluorescent green made me wary of my first sip, but I needn’t have worried – it was divine!! !